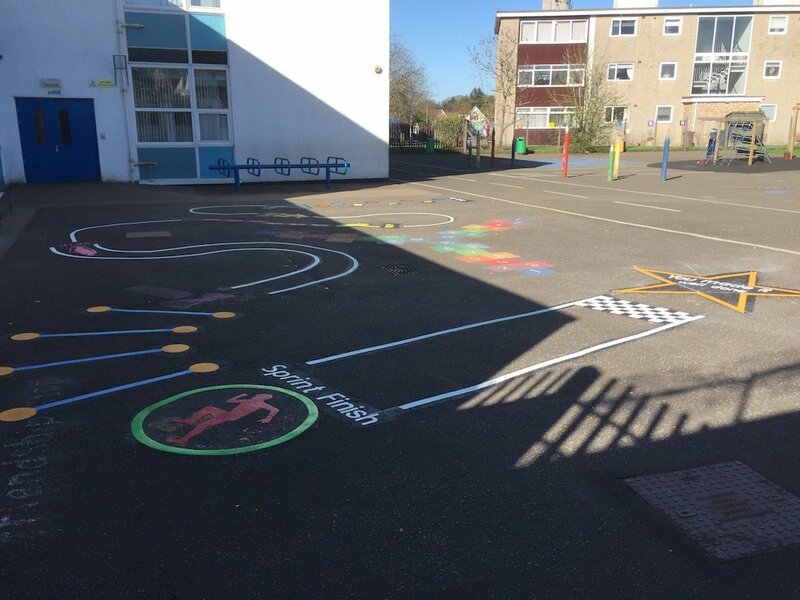 Our installation team drove down the road to South Sheilds to install a range of vivid playground markings for St Bede’s Primary School. 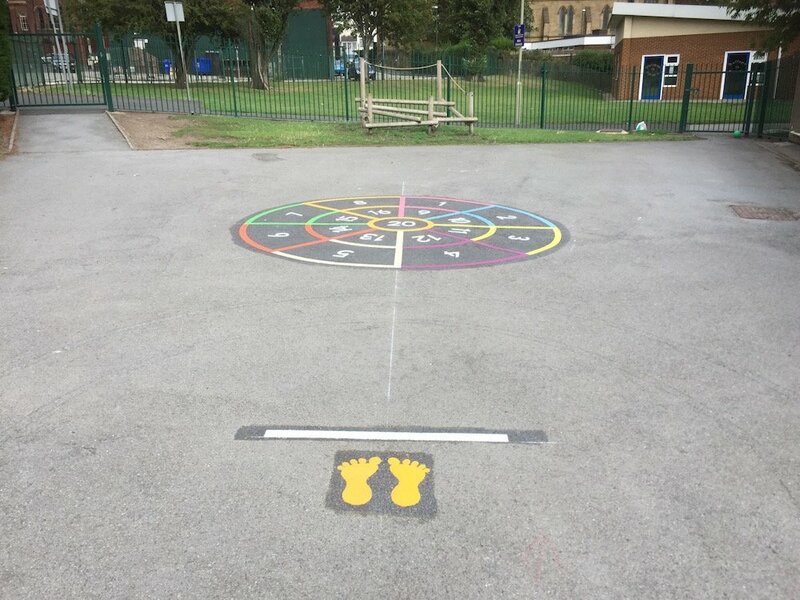 Our team laid a range of vivid, interactive, educationally valuable playground markings. These consisted of a Standing Long Jump, a Smiley Face Compass Clock, an Olympic Sprint, a Bullseye Target, and a 1-100 Grid. 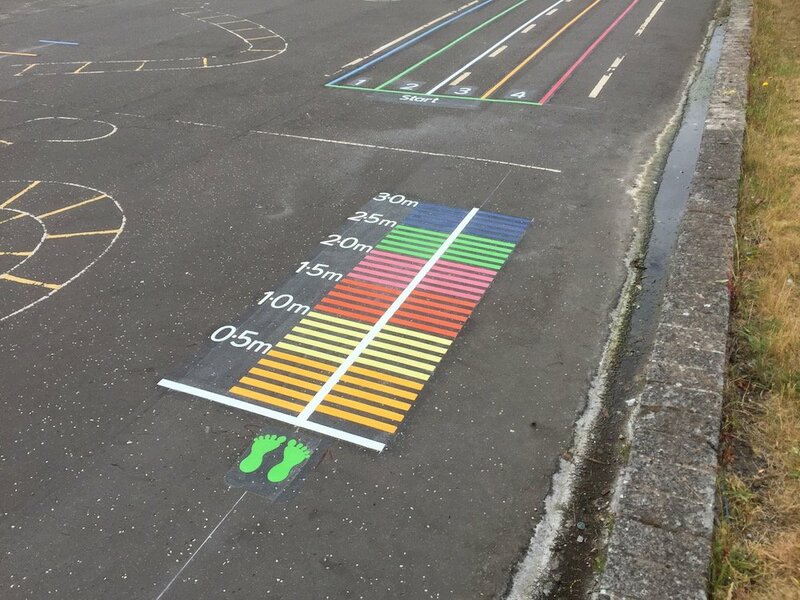 Firstly, the team installed this Standing Long Jump. 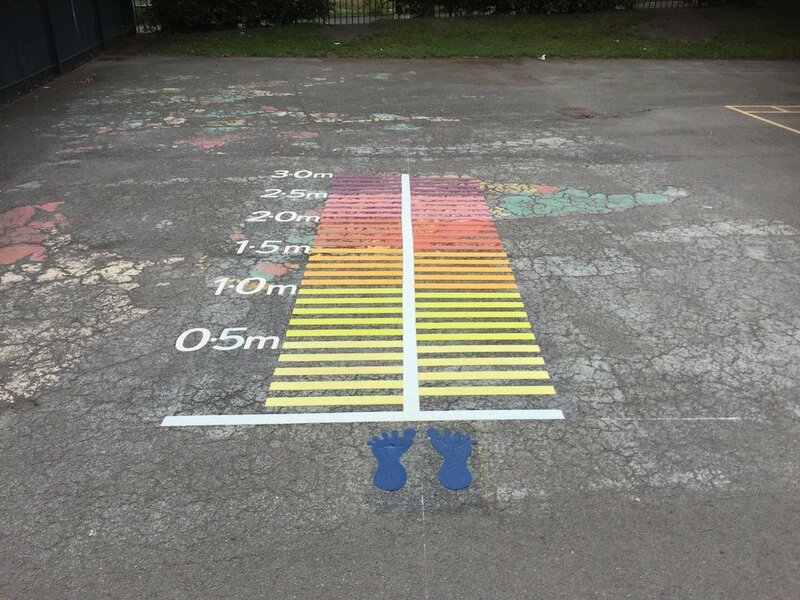 The children measure how far they can jump from a standing start. 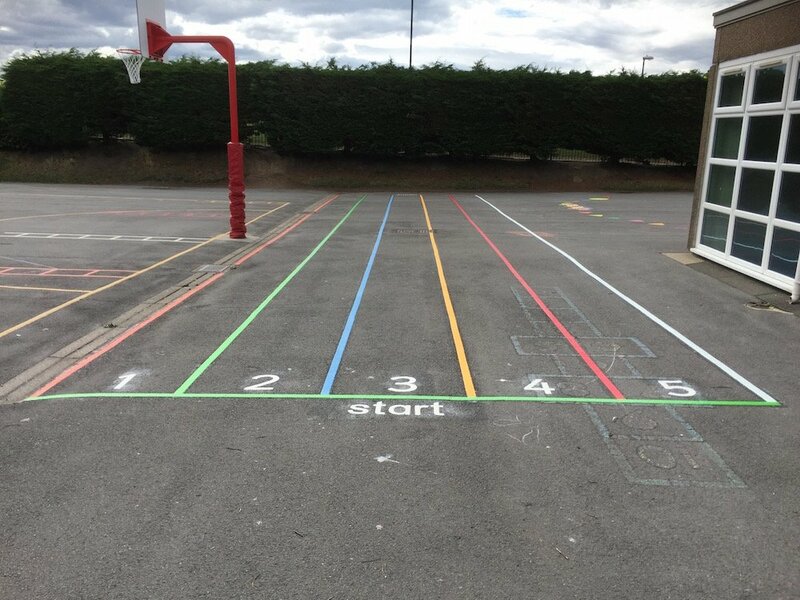 This can be used as part of PE lessons or just simply used as a playground game during break times. 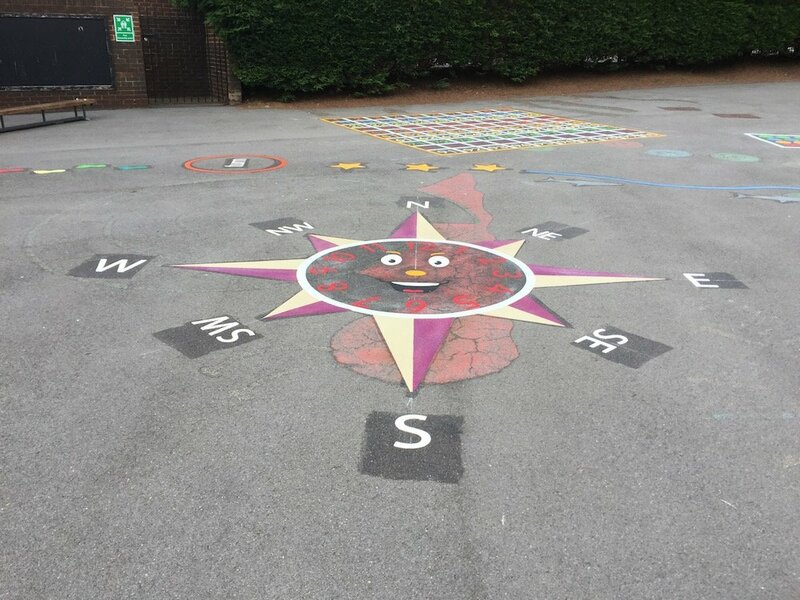 Next, the team installed this Smiley Face Clock Compass. 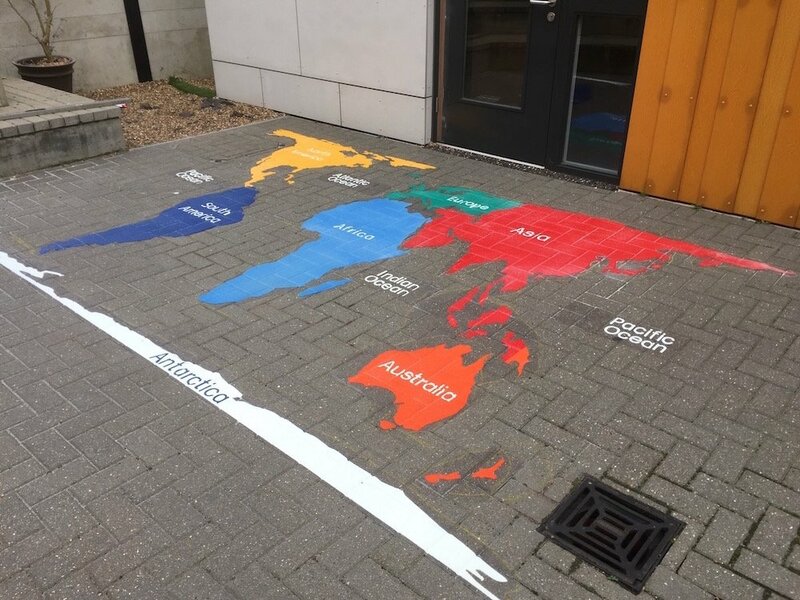 Great for teaching nursery and primary school children telling the time and the points of the compass. 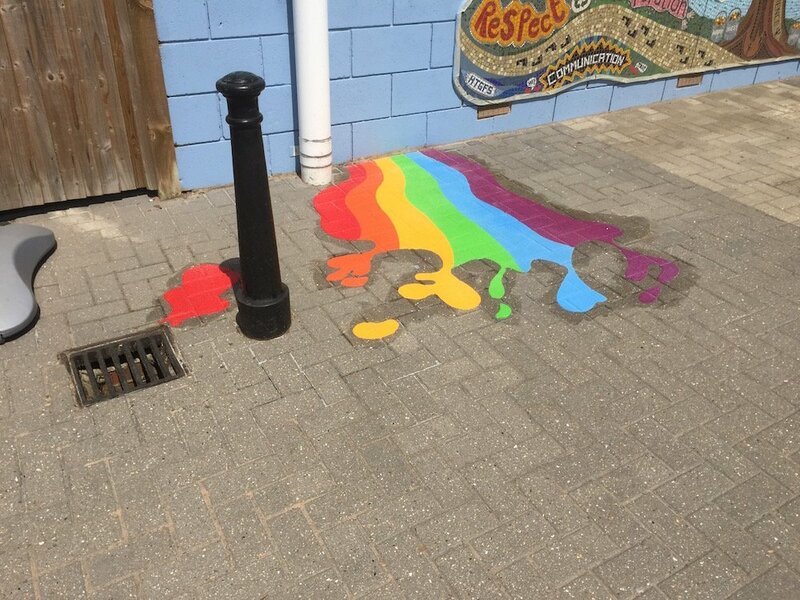 Then the team installed this Olympic Sprint. 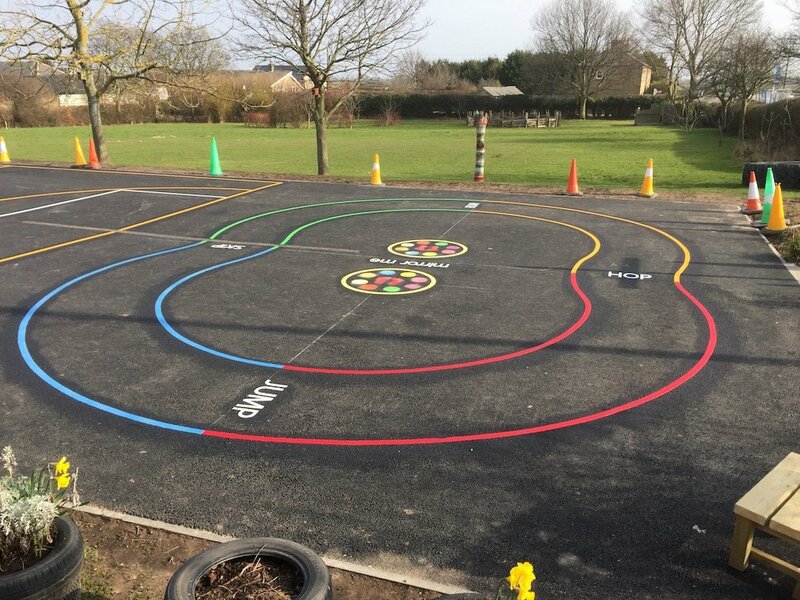 The playground sprint track has 4 lanes and can be designed to fit into any playground area regardless of size. 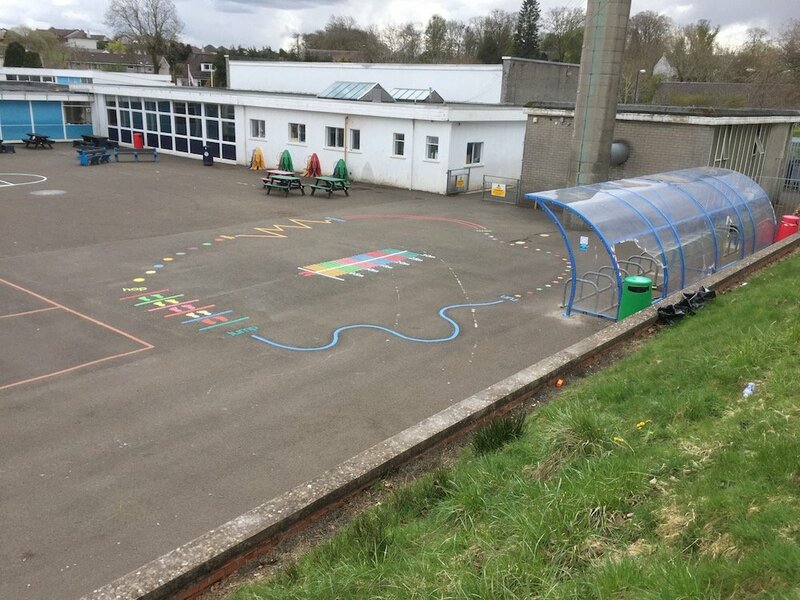 The example shown is 20m long and costs £20 per linear metre. 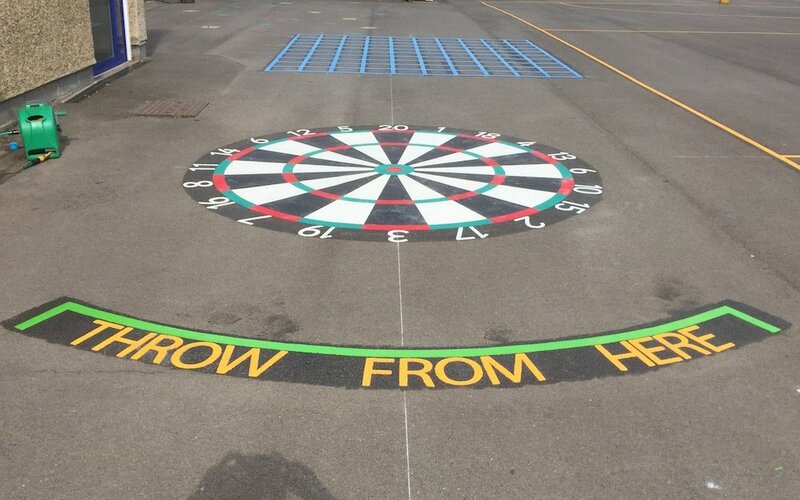 After that, the team installed this Bullseye target. 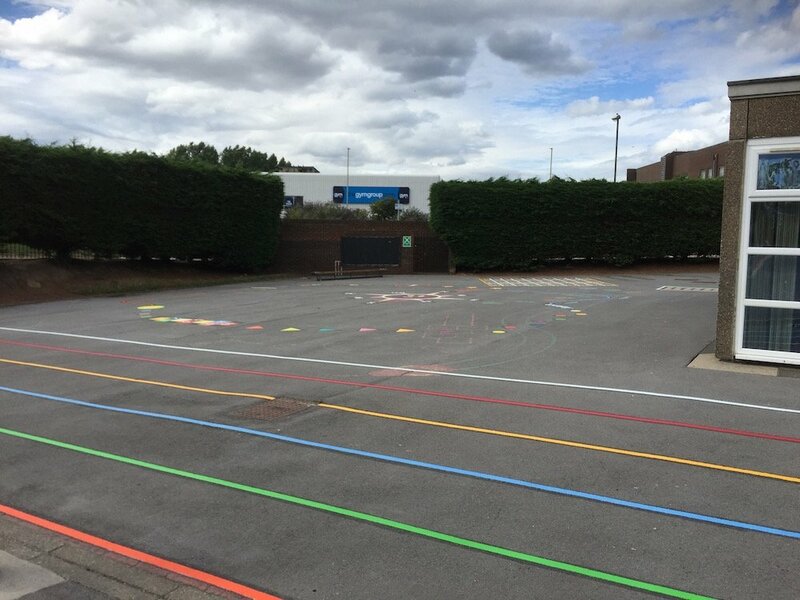 Generic bean bag throwing game, children stand behind the line and aim for the highest scoring segment. Lastly, the team installed this 1-100 Grid. 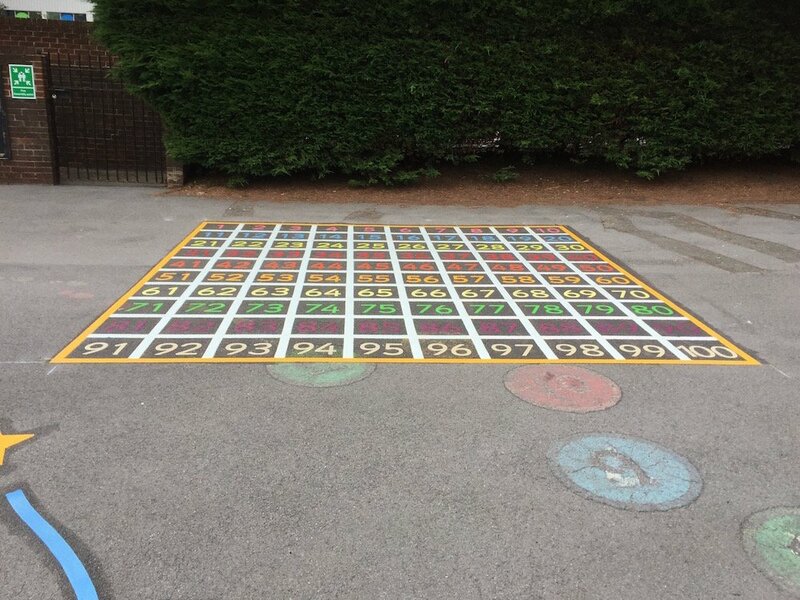 The 1-100 Grid is an excellent teaching aid for KS1-2 and 3 lessons and can be used in many different ways. 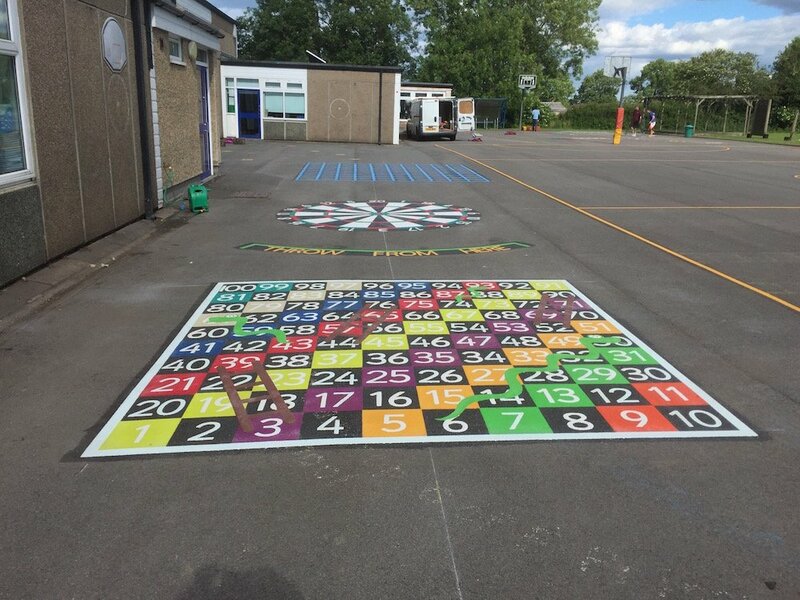 Grids can be designed with any colour lines and numbers. 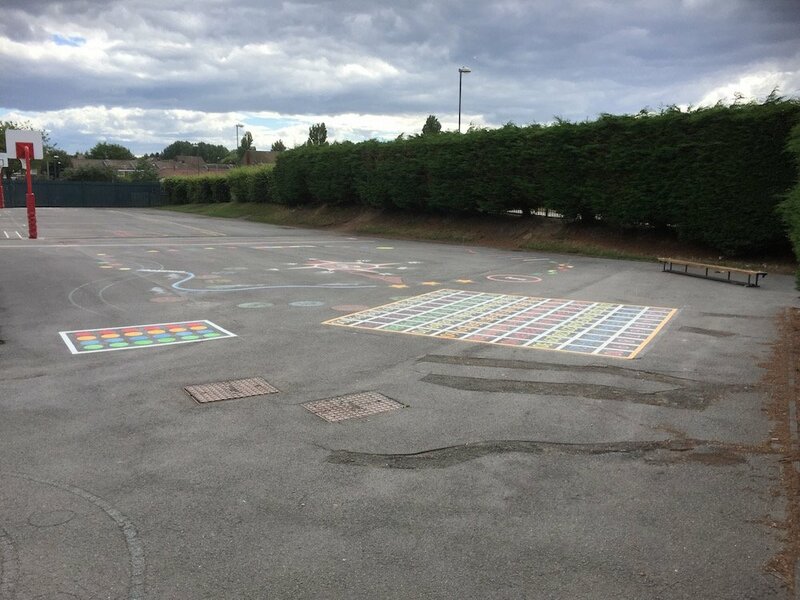 This was done in a day and the school were over the moon with their new playground markings.